Bali Souvenior Shop Bidadari is a huge batik shop located at the Village of Tohpati, the center of hand weaving and Batik process. The visitors can see the process of handmade Batik at the workshop of the shop. 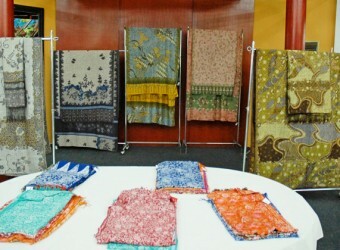 Bidadari sells high quality Batik products in various designs and styles, such as shirts for men and women, handkerchiefs, handbags, etc.